Initial Evaluation(s)/Consultation(s) -- $150.00; 45-minute session -- $125.00 per session; Group Counseling -- $50.00 (excludes T-Fit); Coaching Services are $80.00, per session, and are not covered by insurance carriers. - What is my deductible, and has it been met? - Is prior authorization required from my primary care physician? Presently, MTR Therapy accepts Aetna, Highmark, Magellan Behavioral Health, and Optum. Please note that some Independence Blue Cross and Keystone Health Plans may be managed by Magellan Behavioral Health so review your coverage carefully. Please be advised that not all plans are accepted at each site. 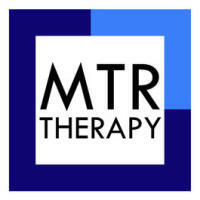 MTR Therapy accepts cash, check and all major credit cards (VISA, MASTERCARD, DISCOVER, AMEX). Please note that there is a service fee, not to exceed 4.5%, for all credit card payments. MTR Therapy expects that all scheduled sessions will be attended and ask that any cancellations by communicated no later than 24-hours in advance. MTR Therapy reserves the right to charge a $60.00 fee, per occurrence, for any sessions cancelled with less than 24-hours notice.